In 2017, Dixon Advisory joined forces with Evans and Partners to become part of the Evans Dixon Group. As such, the firm has grown from being a local pioneer in SMSF support services to becoming a global company with more than 600 staff across offices in Sydney, Melbourne, Canberra, Brisbane, Adelaide and New York. This means there are many ways for careers to grow. Combined, Evans Dixon has the scale and resources to provide a broad range of rewarding career opportunities across wealth management, superannuation, estate planning, corporate advisory and more. 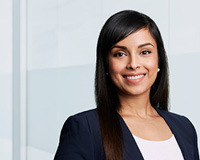 For graduates, being a part of Evans Dixon means having access to a broader range of opportunities to gain experience working in diverse areas such as holistic wealth management, global fund and asset management, stockbroking, investment banking services, or self managed super fund accounting. We take pride in providing employees with the best environment to gain valuable experience working directly with clients, develop expertise and be rewarded for success. It’s why Evans Dixon was ranked No. 1 in the Top Graduate Employers list for 2018. Receptionist - Great entry level role! Dixon Advisory, part of the Evans Dixon Group, is currently looking for a proactive, motivated and friendly individual to join our Client Services team as a receptionist. You will be the first point of contact for our highly valued clients, both face to face and over the phone. This rare and challenging opportunity in the Business Process Improvement (BPI) team will require you to collaborate with business units across the Evans Dixon group to deliver bespoke and innovative solutions to improve business practices. There is a large focus on leveraging technology to deliver digital innovations to the Group.